What do you think? Did Yahoo do this on purpose? The married father-of-three also claimed that two other doctors, from India and Pakistan, had bungled operations, tried to “suppress discussion” over the avoidable death of a man who had had sepsis and were involved in possible overtime fraud. But Mr Duffy, a consultant urologist, said he was subjected to “malicious, toxic and utterly false” allegations over a ten year period working at Royal Lancaster Infirmary (RLI) and was warned to “watch his back” over his whistleblowing. It was claimed that one of the doctors vowed he would be “taught a lesson,” while another was said to be “spitting blood” after being suspended. In 2015, Mr Duffy transferred to Furness General Hospital, Barrow, where he was voted “Doctor of the Year by patients and colleagues at Morecambe Bay Hospitals NHS Trust. Long story short, the good doctor was forced to resign. He is now practicing elsewhere. Welcome to Britain, where the police allow native girls to be raped and murdered rather than be accused of racism, where journalists are detained, and then banned from the country, for trying to exercise free speech – and where good doctors are forced to resign in favor of corrupt, and inferior, doctors. There is nothing “great” about “Great Britain” any more. Those are clearly Caucasian features, and we wouldn’t look twice if we encountered such a man in India or Egypt. Most Caucasians aren’t white, even today. Admittedly, he’d probably qualify for Affirmative Action – or he’d be told to lay off the tanning beds. Dr. Booth’s claim that this is somehow a blow to the classical concept of race is absurd. The opposite is true. If Britons of the recent past were so much darker than modern Britons, then this illustrates how quickly populations adapt to their environments. If only 10,000 years is sufficient to alter our skin-color so dramatically, then surely we can expect more profound adaptations over the 40,000 years (or more) since the races have diverged. 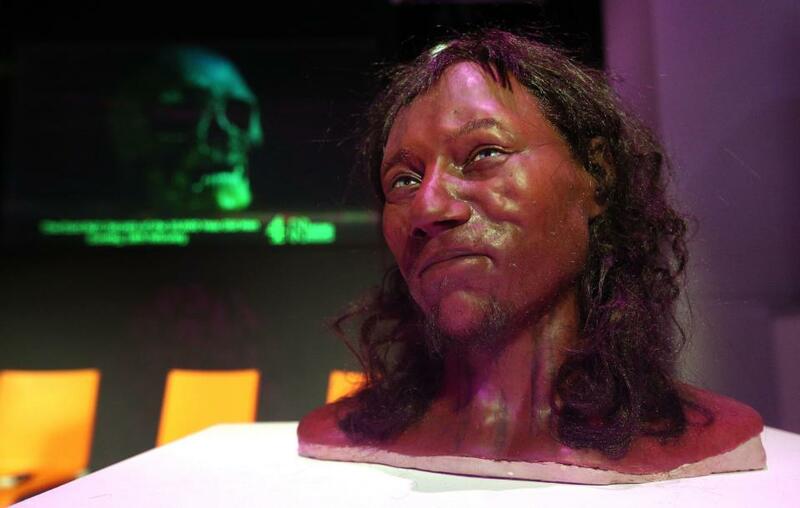 That Chedder Man would not be mistaken for a modern Briton is testimony to the importance of race. For Dr. Booth to claim otherwise is an insult to reason. He should give back his degree and hit the books again. Let’s say, for argument’s sake, that such adaptations could take place within one or two generations. If this were the case, then I would agree that we shouldn’t worry about racial differences so much. But how many of us are willing to wait 10,000 years for “equality” to finally set in? On another note, this discovery (should it turn out to be valid) sheds light on a mystery I’ve been struggling with for years. It involves the spread of Indo-European languages and Afro-Asiatic languages. I’ve always wondered how it could be that languages could spread across racial boundaries, seemingly without much genetic contribution to go with them. If the original Indo-Europeans were akin to modern-day Iranians (for example), then how is it that the blond peoples of Northern Europe show little to no Iranian features? Conversely, if the original Indo-Europeans were blond, how is it that so few people in Southern Asia have those features? If the ancient Aksumites were as dark as most modern-day Ethiopians, how could they be as Semitic as the fair-skinned peoples of the Levant? Perhaps these languages spread prior to the development of some of the traits we now associate with various racial groups.